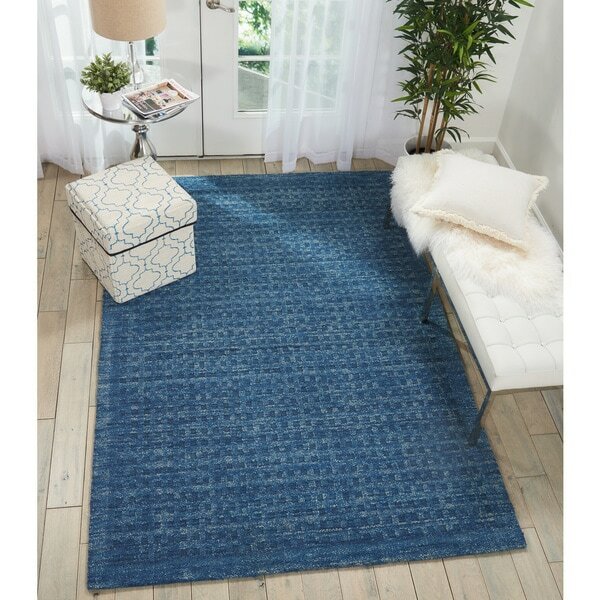 Nourison Perris Hand Woven Navy Area Rug - 5' x 7'6"
Nourison Perris Hand Woven Navy Area Rug - 6'6" x 9'6"
Nourison Perris Hand Woven Denim Area Rug - 5' x 7'6"
Nourison Perris Hand Woven Navy Area Rug - 8' x 10'6"
Nourison Perris Hand Woven Sky Blue Area Rug - 5' x 7'6"
This elegant ivory colored Perris Collection rug combines luxurious style with artful construction. Dense wool loop pile provides wonderful texture with its subtle monotone high-low weaving, and is perfect for living rooms, bedrooms, or other high traffic rooms in your home. Waverly Grand Suite Ocean Area Rug by Nourison - 5' x 7'6"
Nourison Perris Hand Woven Green Area Rug - 5' x 7'6"
Nourison Perris Hand Woven Charcoal Area Rug - 5' x 7'6"